Télédiffusion d'Algérie, TDA, is a public industrial and commercial company (EPIC), broadcasting radio and television, under the supervision of the Ministry of Communication. 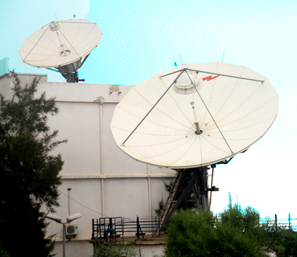 TDA exclusively manages the operation of the transmitters and the broadcasting of the programs of 57 radio stations and 5 public television channels in Algeria and abroad. The digitization of television broadcasting began in 2010. To date, DTT covers 85% of the population. ITU : International Telecommunication Union. EBU : European Broadcasting Union. ASBU : Arab Radio and Television Union. UAR : African Union of Broadcasts. IBU : Union of Islamic Radiodiffusion. 6 regional directorates in Algiers, Constantine, Sidi Bel-Abbés, Ouargla, Bechar and Tamanrasset. 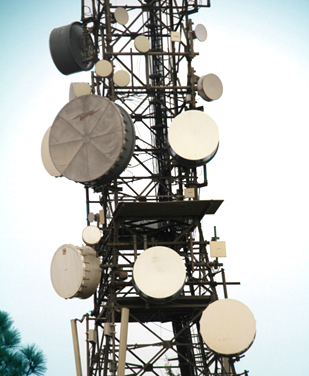 Co-location of technical equipment, satellite transmission services. 1962: Creation of the Algerian Radio Television, RTA, on October 28th. 1986: Birth of the public broadcasting company ENTD. 1991: Change of name and legal status. New name Télédiffusion d'Algérie, TDA, public institution EPIC. 2012: New status authorizing the broadcasting of private TV channels.